This series of autobiographical sketches set in both the former Yugoslavia and modern-day Chicago confounds expectations. 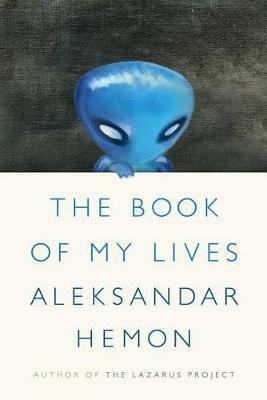 Aleksandar Hemon’s fiction has bewildered reviewers. It lurches from wild historical escapades in the near and far east to quirky (albeit pedestrian) conundrums in a modern-day America. These essays follow the same pattern. Hemon frustratingly resists grand narratives. Readers looking for clarity on war in the Balkans or post-GFC Chicago will find none. In Hemon’s world, imperfect individuals exist within epic history, and he offers insight of a different sort. In 1991 war might be raging, but Hemon concentrates on a Sarajevo heroin epidemic. In today’s America things are looking grim, but the focus is on personal anxieties, whims and flaws. Hemon’s self-portrait is not always flattering, but it is a complicated and honestly incomplete depiction of memory, immigration, war, history and change. Some will find the clash of recognisable elements jarring: are we reading a war memoir, a tale of migrant durability or even a David Sedaris-esque familial comedy of errors? As a whole this collection doesn’t fit any of these genres. Readers will take from Hemon what they will. All he offers are bittersweet, disjointed fragments from one world gone to hell and another finding its feet. In that sense, this collection is a refreshing relief from memoirs telling us about the insurmountable ancient passions and irreconcilable differences of the wild east. On the other hand, it does seem strange that a writer who draws much of his authority from his Sarajevan roots chooses to delve so selectively into aspects of the conflict there. The Book of My Lives is for readers who don’t object to collections that raise more questions than answers.